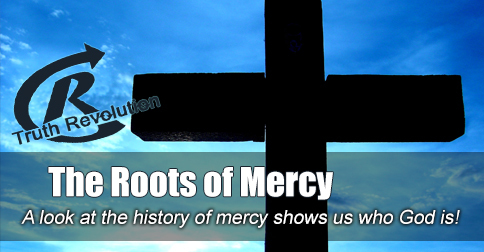 Mercy is a concept that unfolded long before the New Testament. This is how we know that God is unchanging! [audio:http://www.truthrevolution.tv/show/TS-0326.mp3]No Flash Support? Use this Audio Player! Dave: Is there grace in the Old Testament? Or is it something new, in the New Testament, after Jesus? Jeff: In our last Truth Shot we explained the Salvation History concept. Mercy is absolutely in the Old Testament… it’s ALL OVER. Jeff: The point? Abraham – the great forefather of Israel was not saved by OBEYING any rules. Jeff: That is exactly what mercy is. Dave: It started even before the nation of Israel was formed.